How serious are you about quality management in your firm? Do you know that Total Quality Management (QM), is the most famous and important word in the contemporary business world? Quality matters in any business, and you might be using any system solution for it already, it may be a manual process, a spreadsheet solution, or using a complete package of system software. How do you know whether you have adopted the most fitting method of QM software? 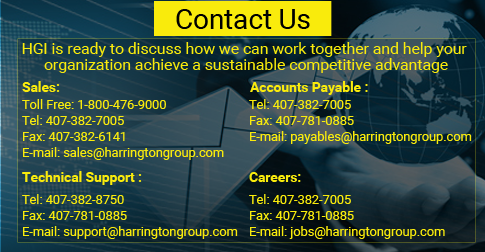 Then take some time, and check the Total Quality Management Systems we offer at Harrington Group International. Leadership engagement of people, Customer focus, a process, approved evidence-based decision making, relationship management, are all elements of quality management that affect your product quality. They are paramount important factors for the long-term success of business. A quality management system in place will decide your compliance to the regulatory standards and the environment. It should contribute fully to coordinate organizational activities of your company to meet customer’s requirements, regulatory control while improving the efficiency and the productivity on a continuous basis. Our quality management system software taps and promotes your business process, products, services offered and the company culture for the long term success of your organization by enhancing customer satisfaction. It will help you attract and retain the confidence of clients towards your business. Going with Harrington International Group’s QMS means you go with ISO 9001:2015 requirements. It stipulates that monitoring of customer satisfaction is a prerequisite to evaluate and validate whether your product/service quality meet customer requirements. We will identify your client needs and your requirements and provide a tailor-made solution. The solution will deliver the desired product and service consistently meeting customer needs and expectations and for you with an optimum cost with efficient use of the available resources – materials, human, technology, and information. It is our paramount duty to help you to determine what resources your company needs to support its quality management system software establishment. Leave it to the professionals; we will smoothen your operation.